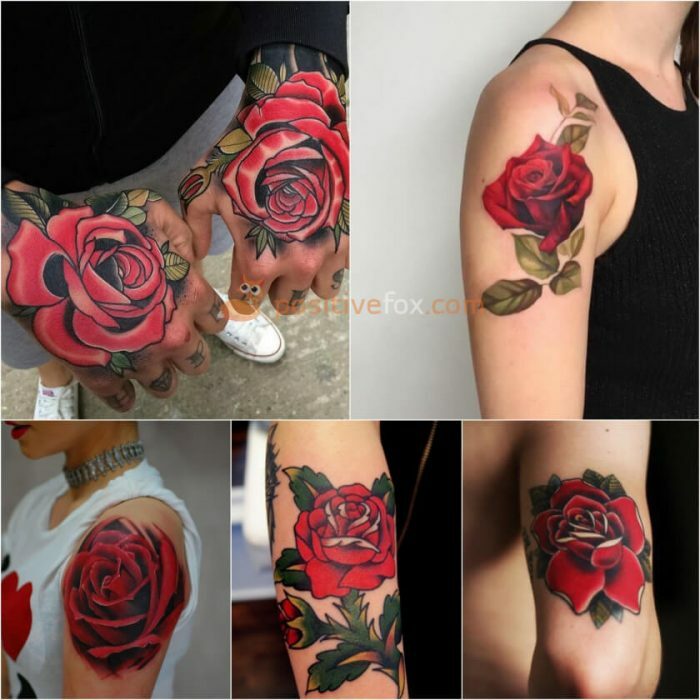 A rose tattoo is the most popular choice out of all the flower tattoos. 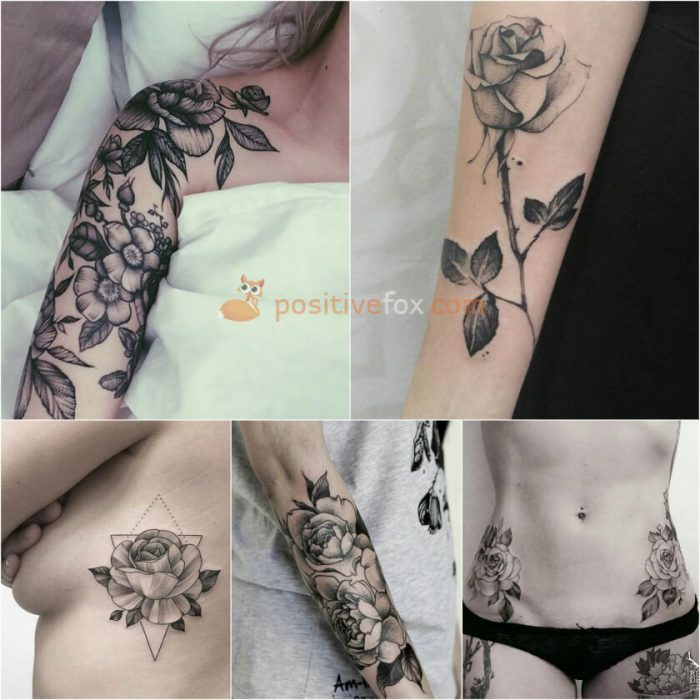 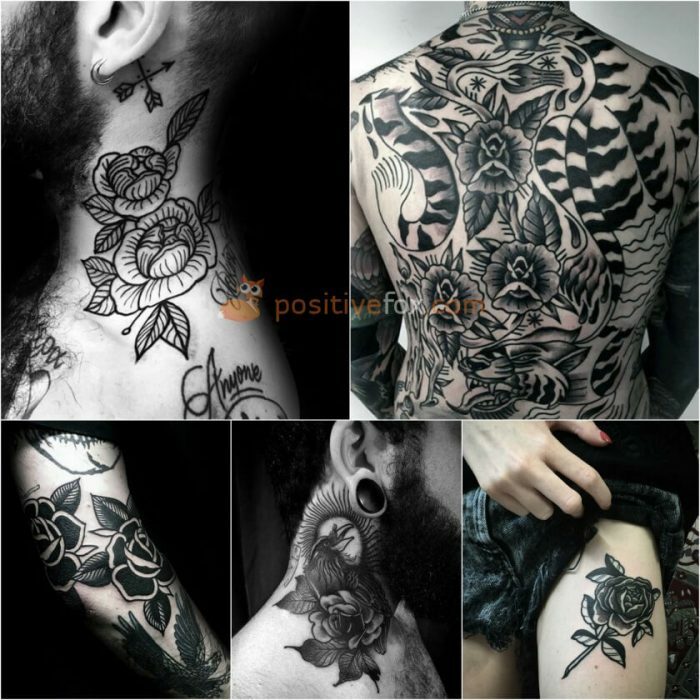 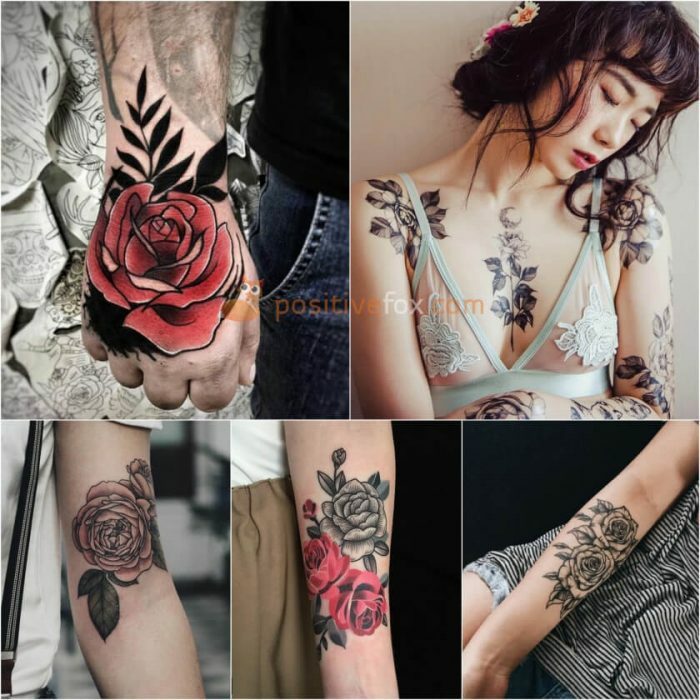 It is said that a person with a rose tattoo typically has very high morals and pays a lot of attention to their inner peace and spiritual development. 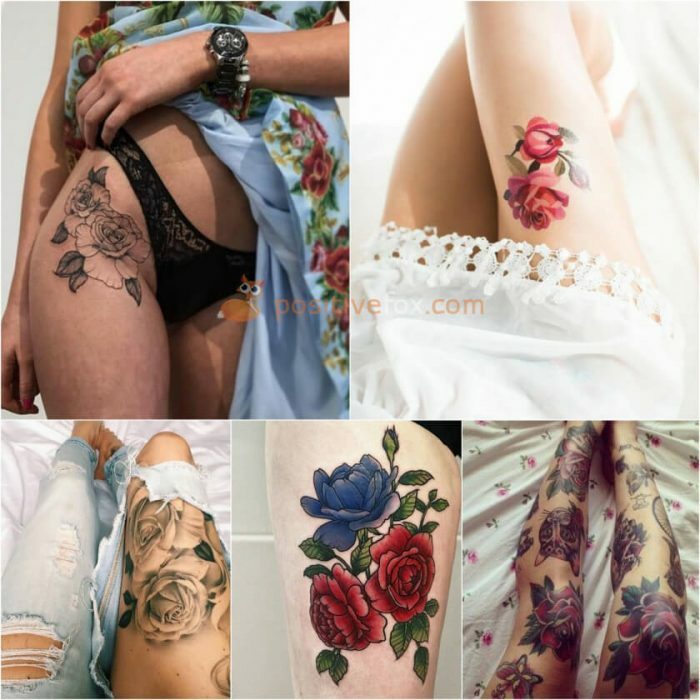 People who have chosen a rose tattoo believe that it helps reveal their inner and outer beauty. 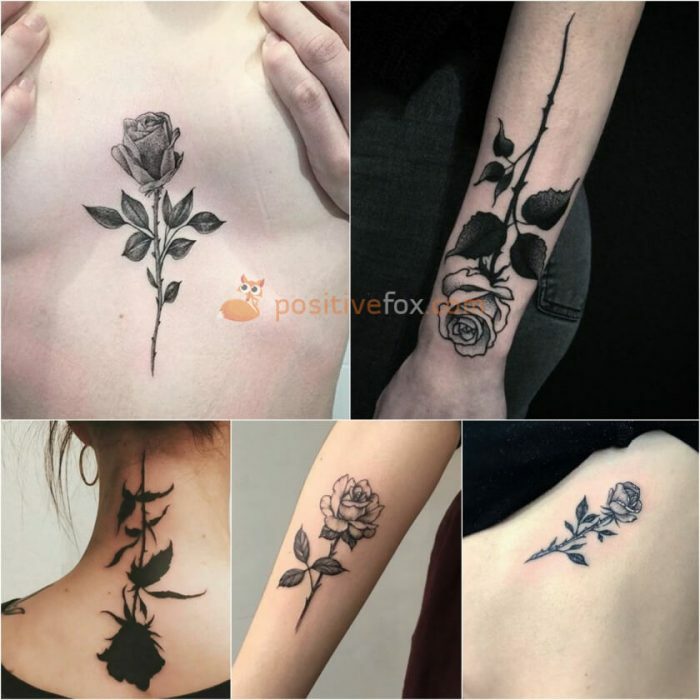 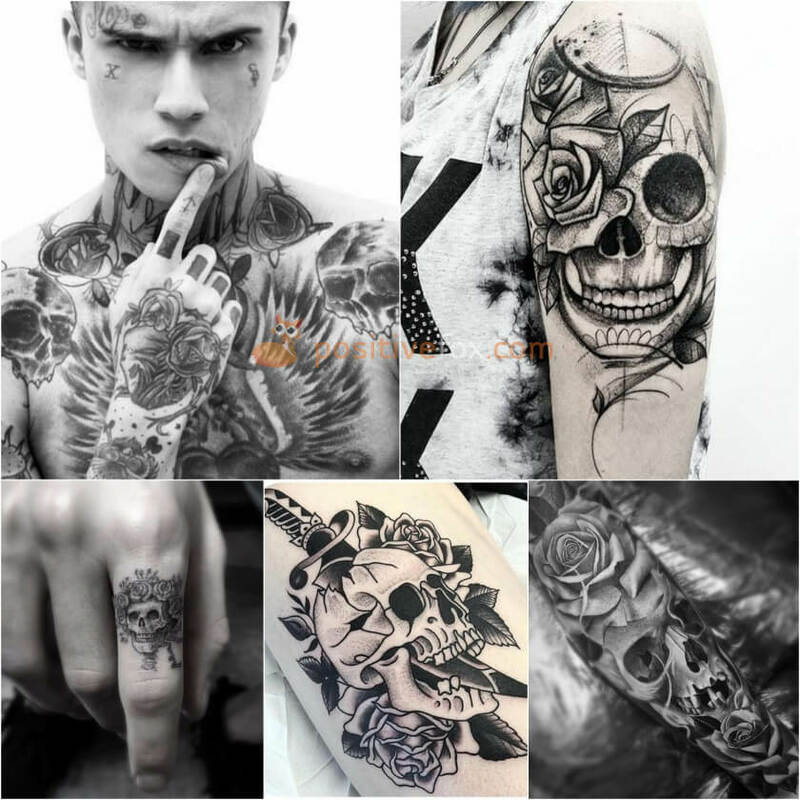 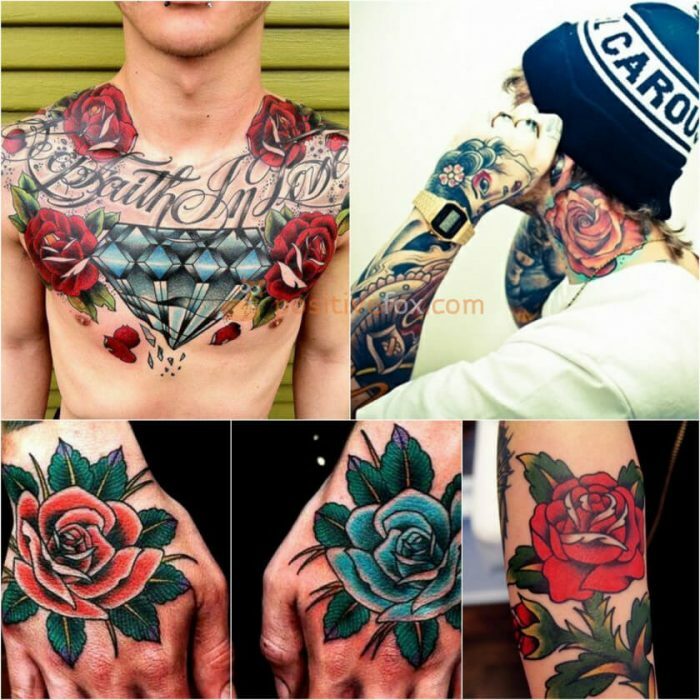 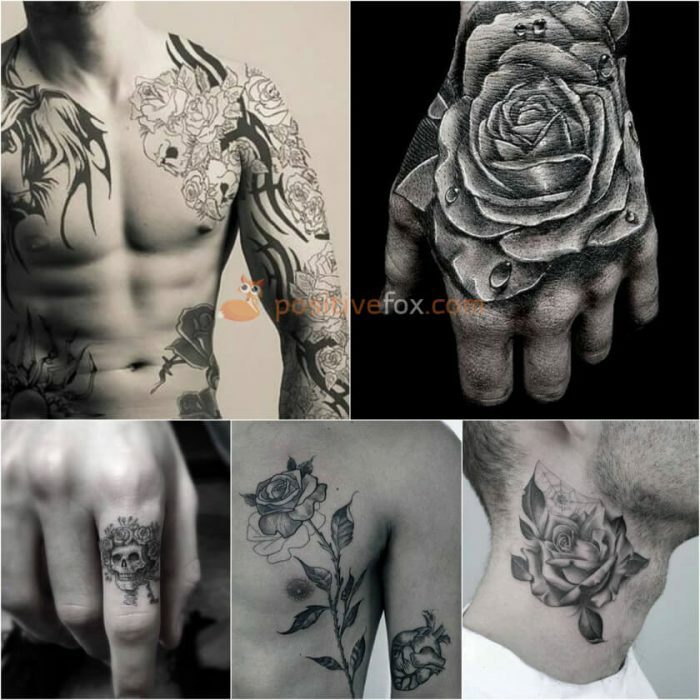 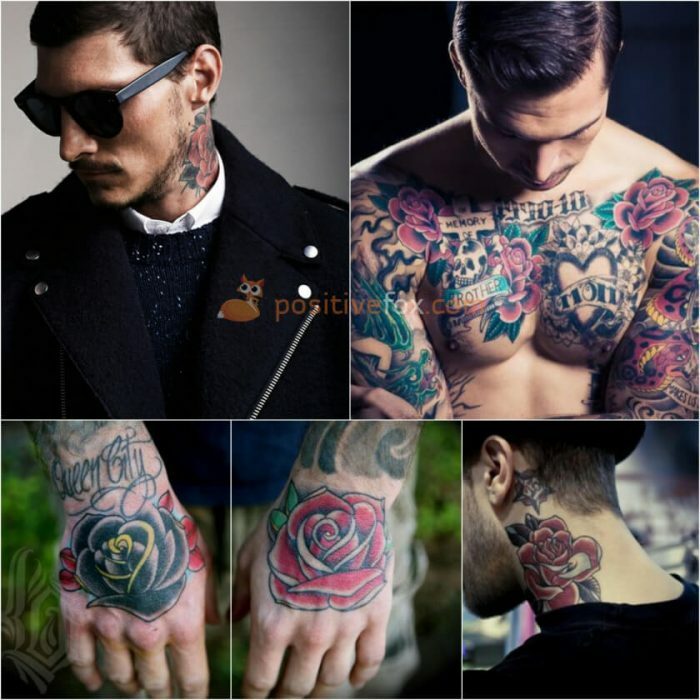 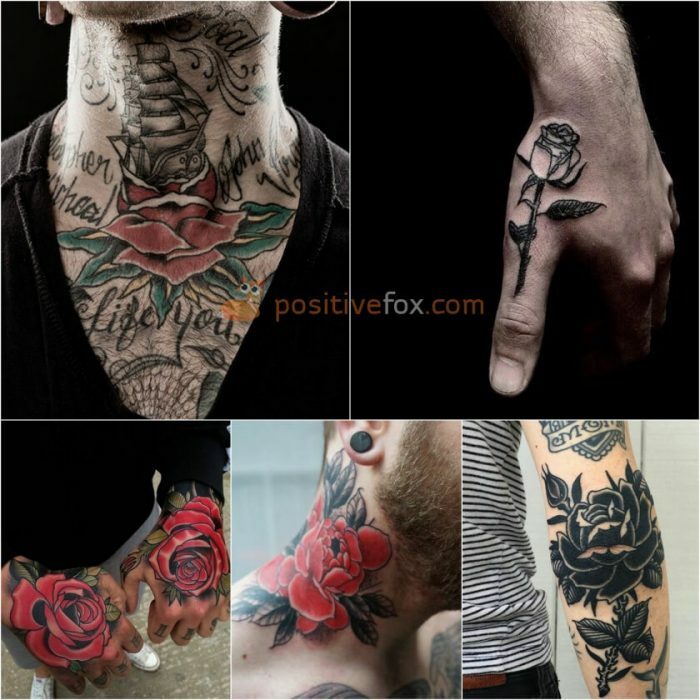 Rose tattoos are not only popular amongst women but men also like them. 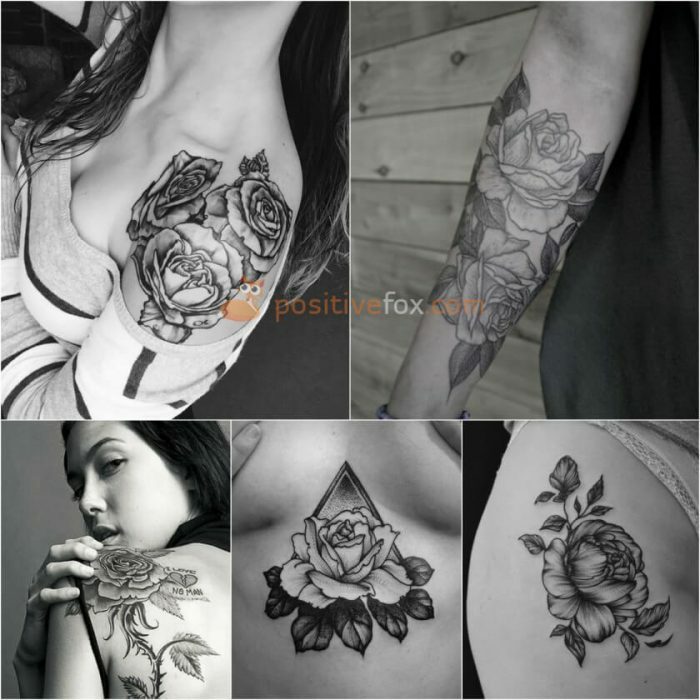 A rose tattoo can be large and monochrome, small and bright, simple or complex. 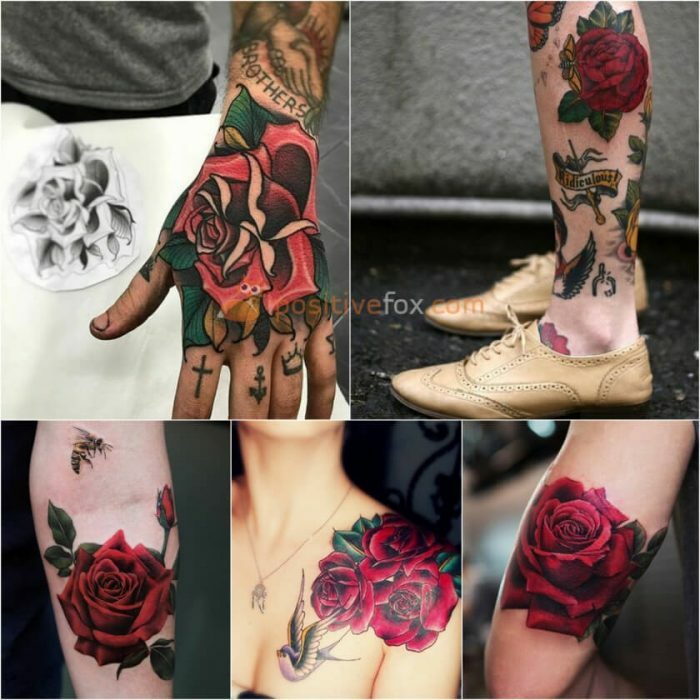 No matter which style you choose, a rose can encapsulate the emotions and meaning you wish to convey, through its shape, thorns and color. 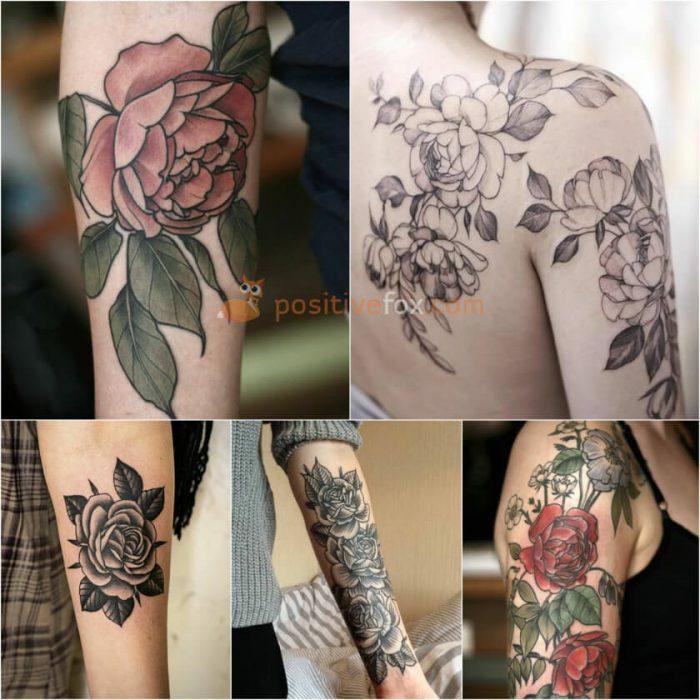 Throughout the ages, there have been different stories that have given the rose its significance. 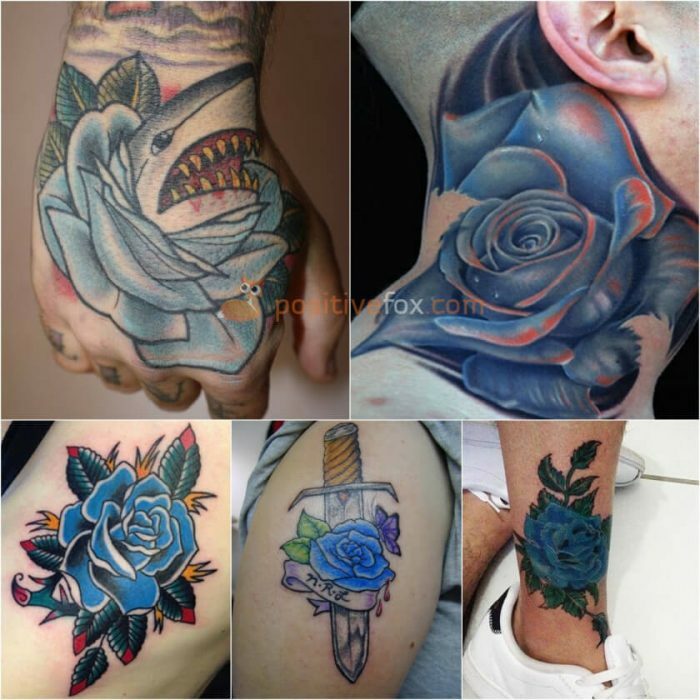 A rose tattoo has long been an emblem of love and enduring passion. 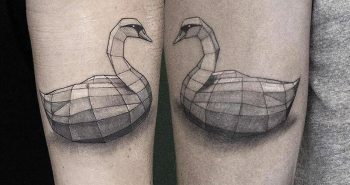 It is symbol of wisdom and spiritual resilience. 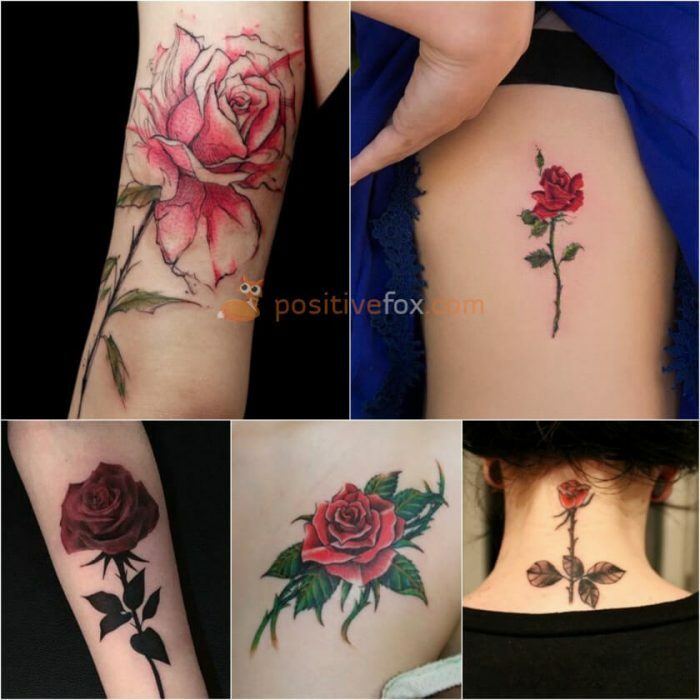 In Chinese culture, the rose is a symbol of prosperity. 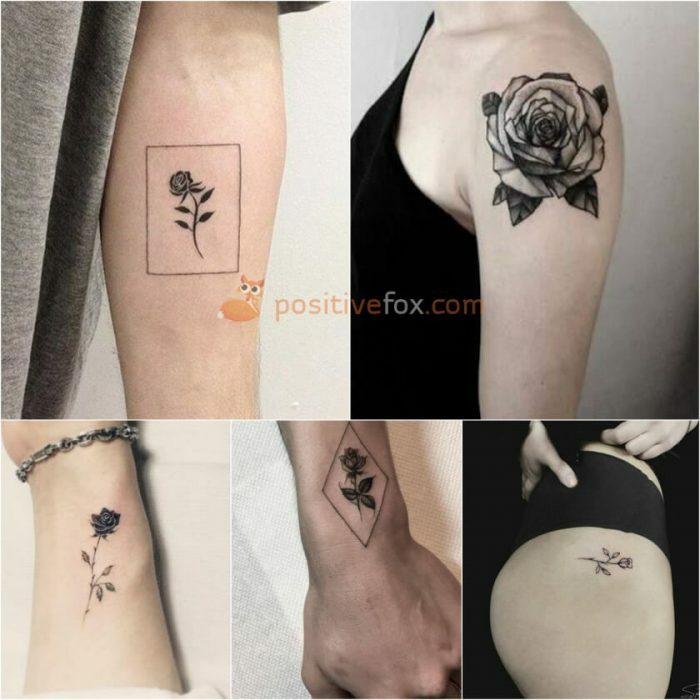 In ancient Egypt, it symbolized pure love. 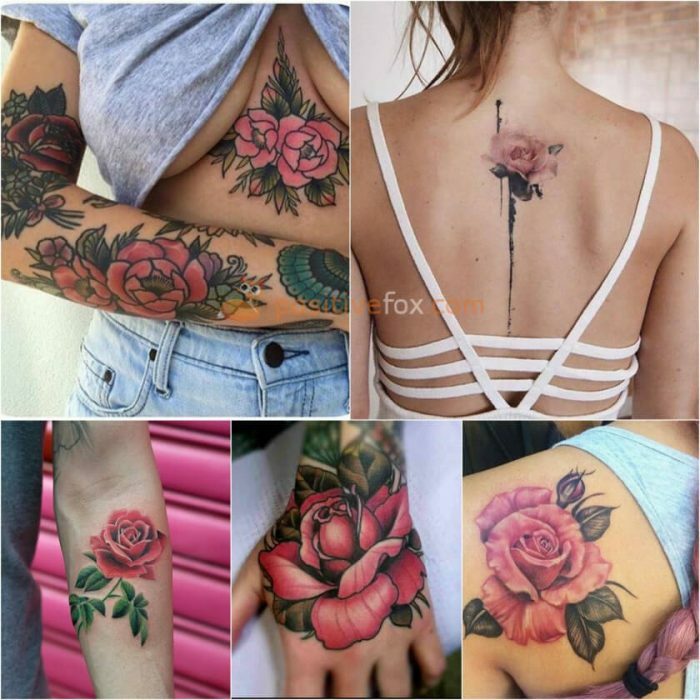 In ancient Greece, the rose was symbolic of Aphrodite, the goddess of love. 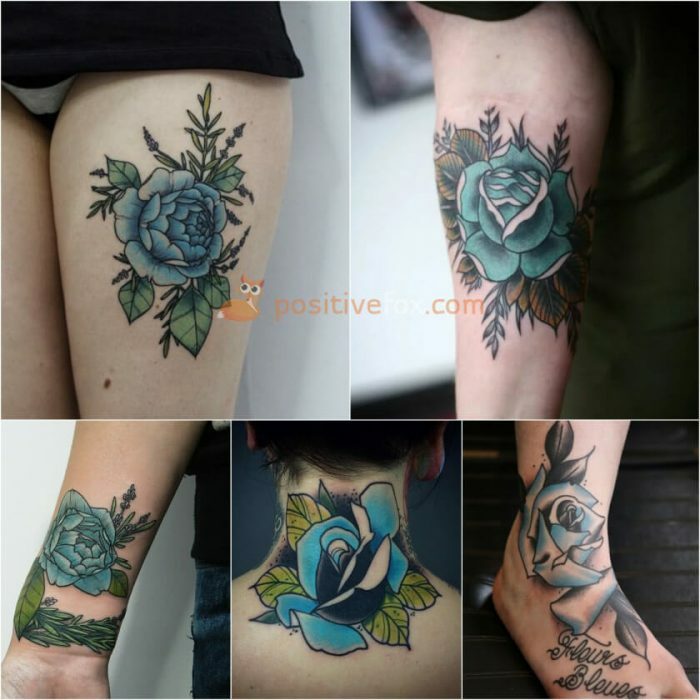 It is worth noting that each individual part of this flower has a different meaning. 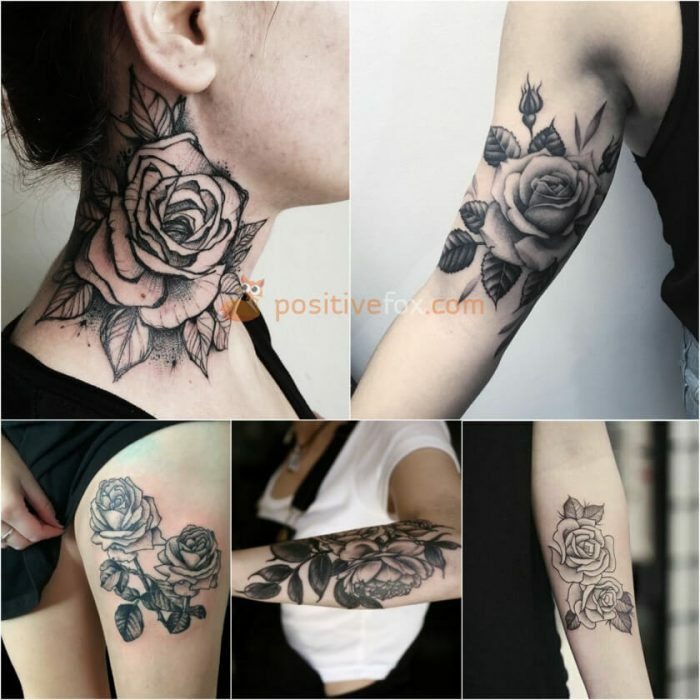 Rose leaves tattoo – the leaves of a rose are a symbol of joy and fun. 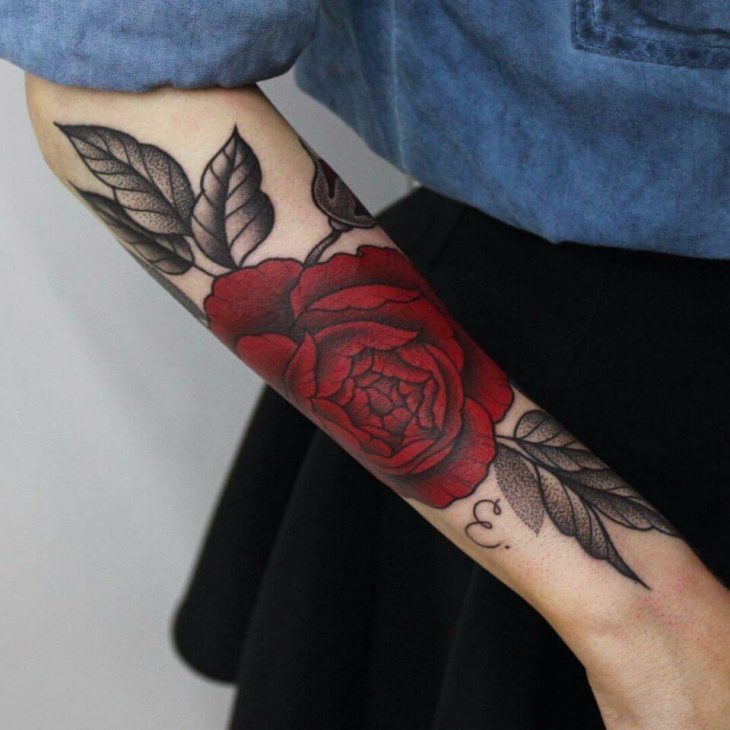 Tattoo of a rose without thorns. 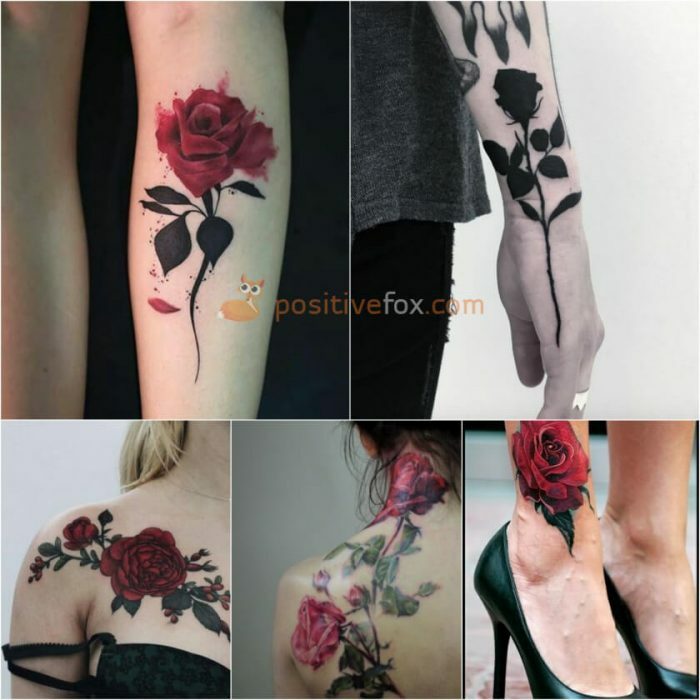 A rose without thorns symbolizes love in its purest form. 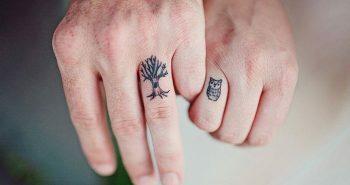 It is often associated with love at first sight. 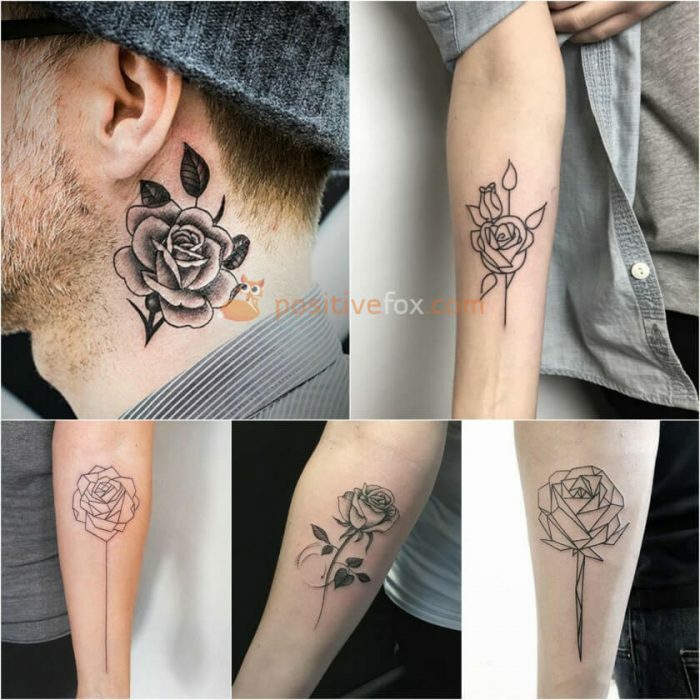 A rose with thorns tattoo may hint at the hardships and sacrifices that have been part of the journey on the road to true love. 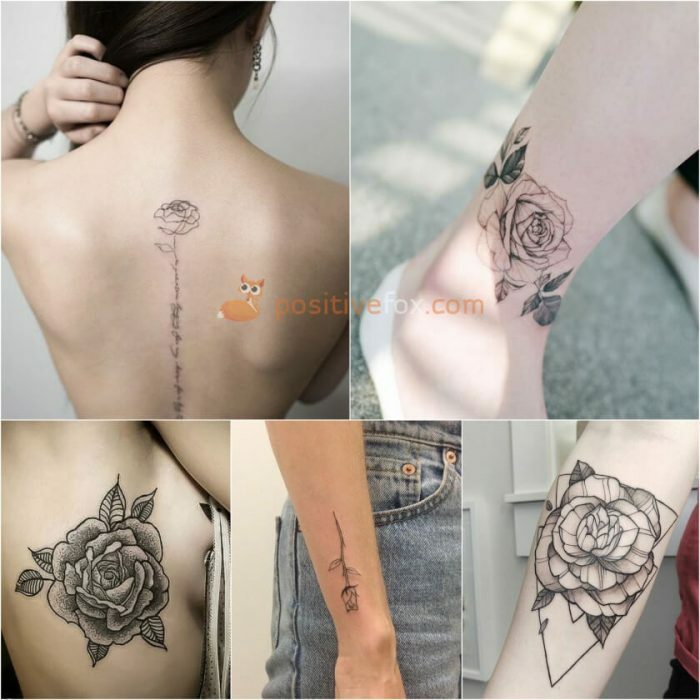 A thorny rose can also be interpreted as love which has been tainted by the pain of betrayal. 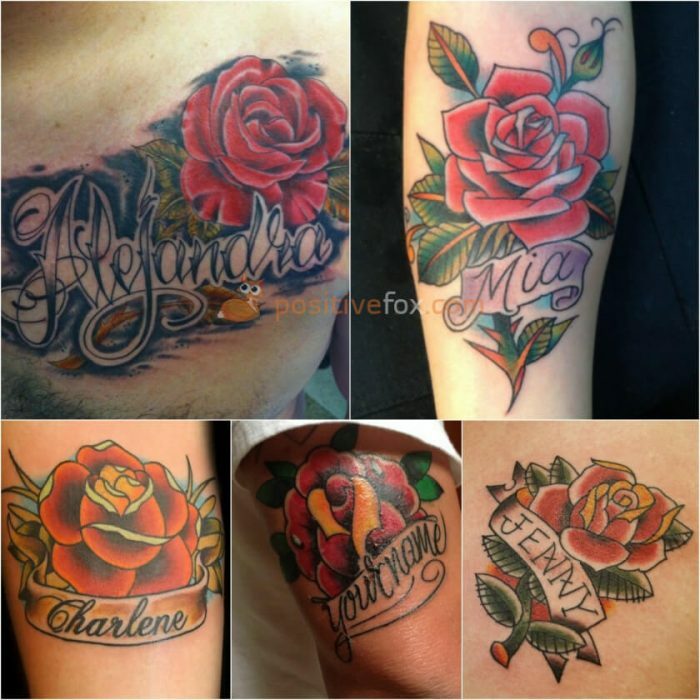 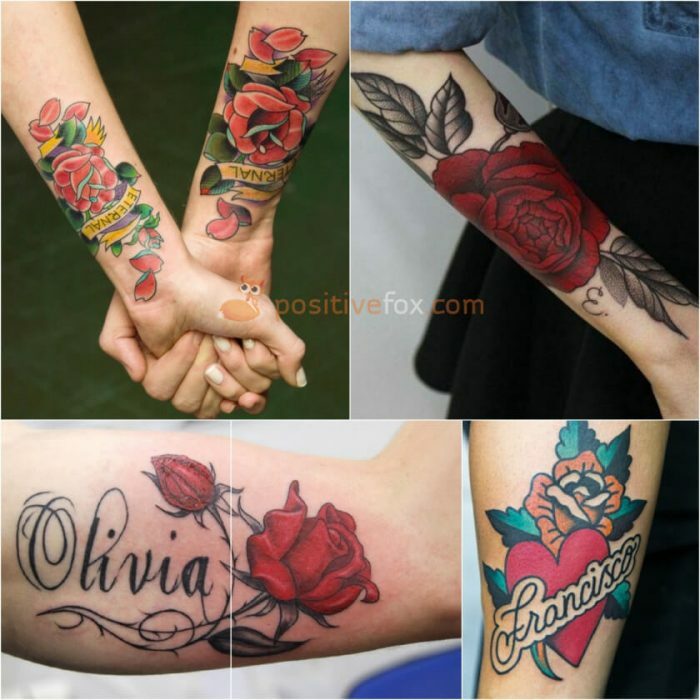 The names of loved ones often accompany rose tattoos. 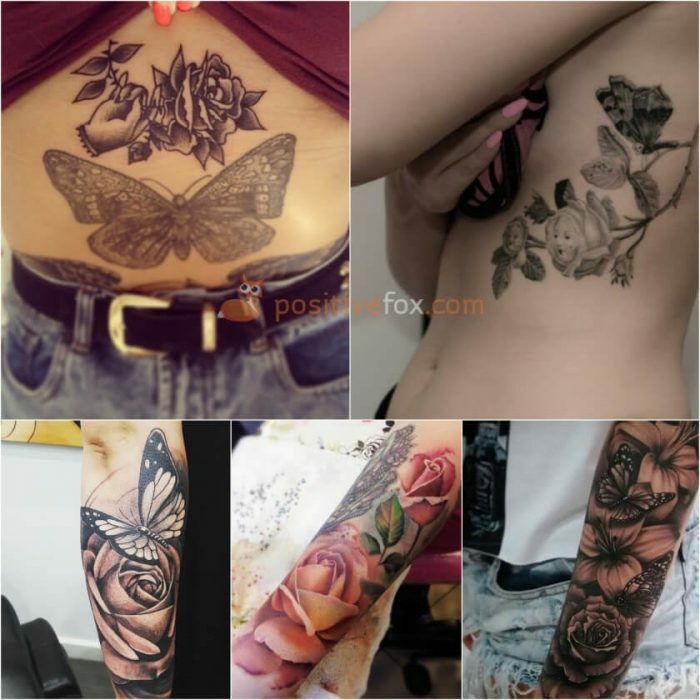 A very common combination is a rose and butterfly tattoo. 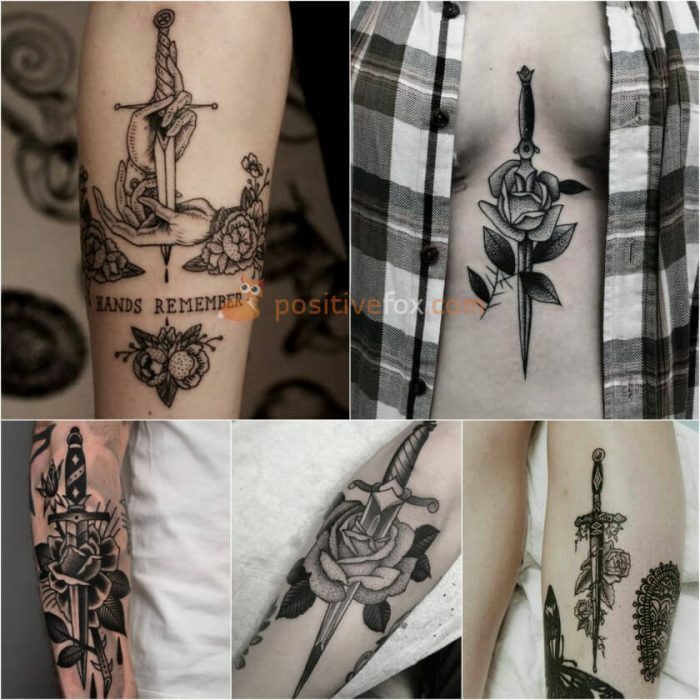 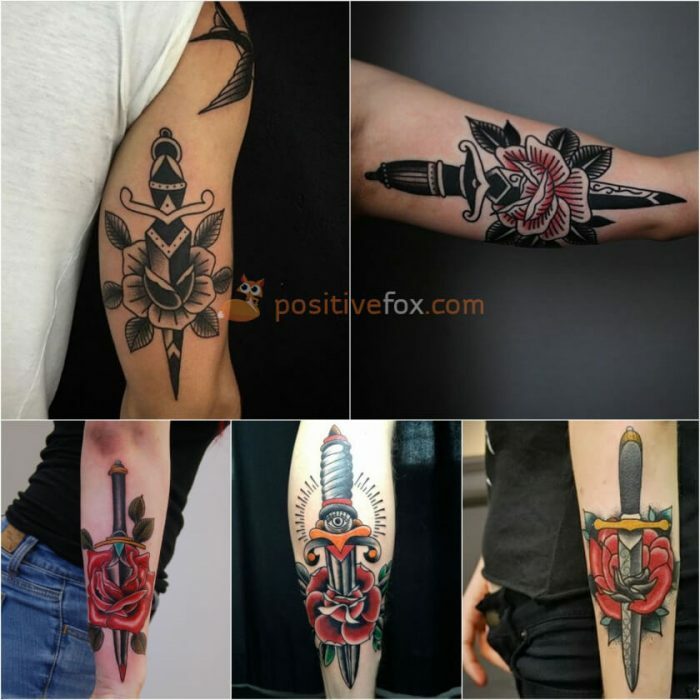 A rose and dagger tattoo often denotes a “love-hate” relationship. 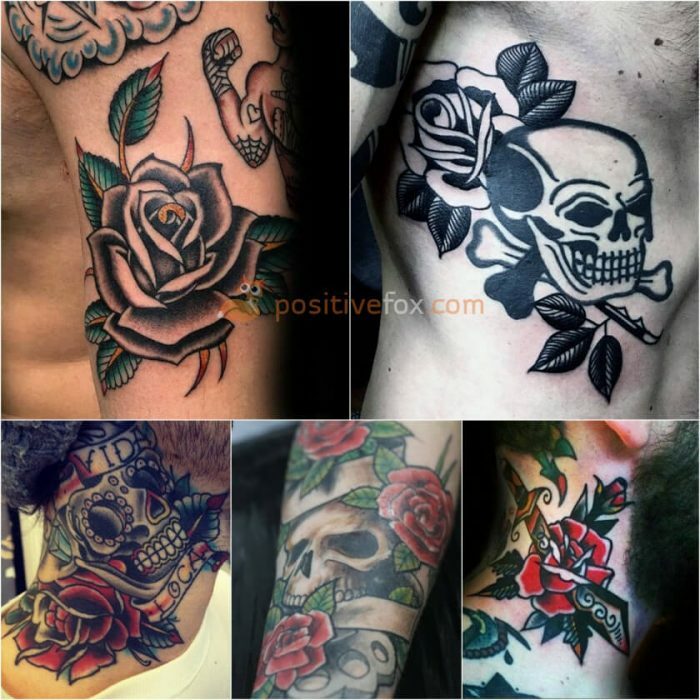 A rose and cross tattoo, or a skull and rose tattoo, is usually a memento of a loved one who has passed away. 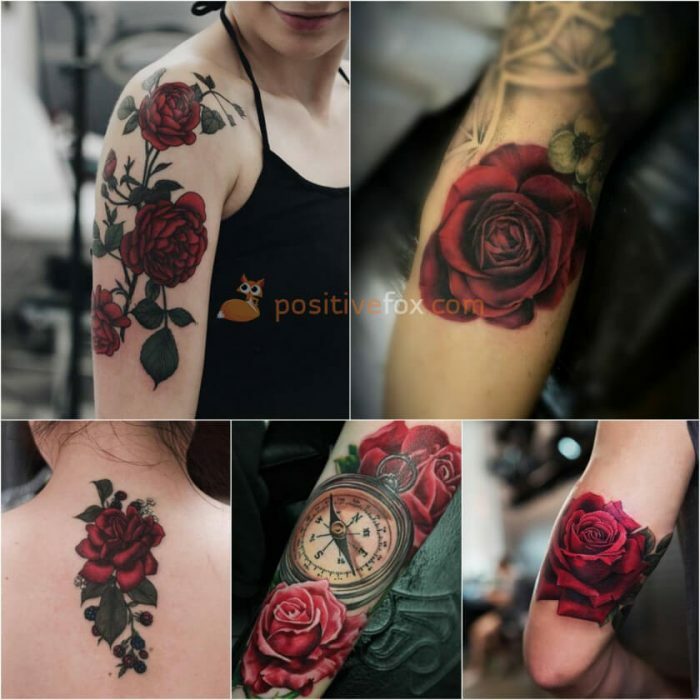 A red rose tattoo is a symbol of true love, romance and passion. 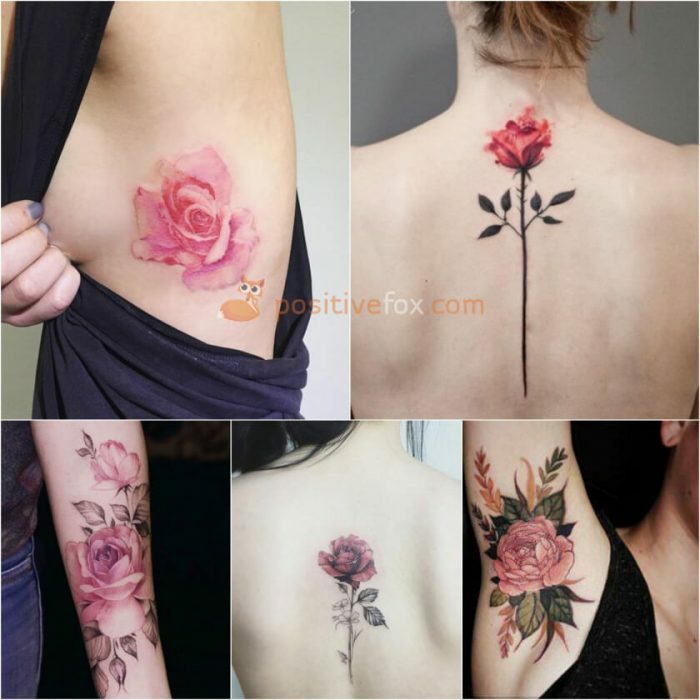 Pink rose tattoo symbolizes elegance, softness and attractiveness. 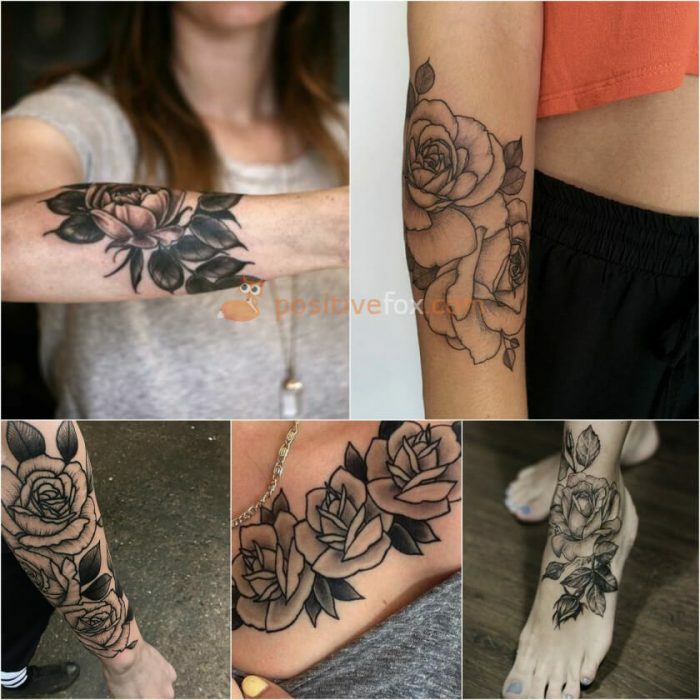 A white rose tattoo is a symbol of pure and everlasting love. 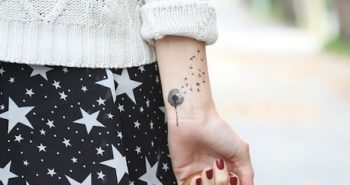 It is also a sign of loyalty, innocence and purity. 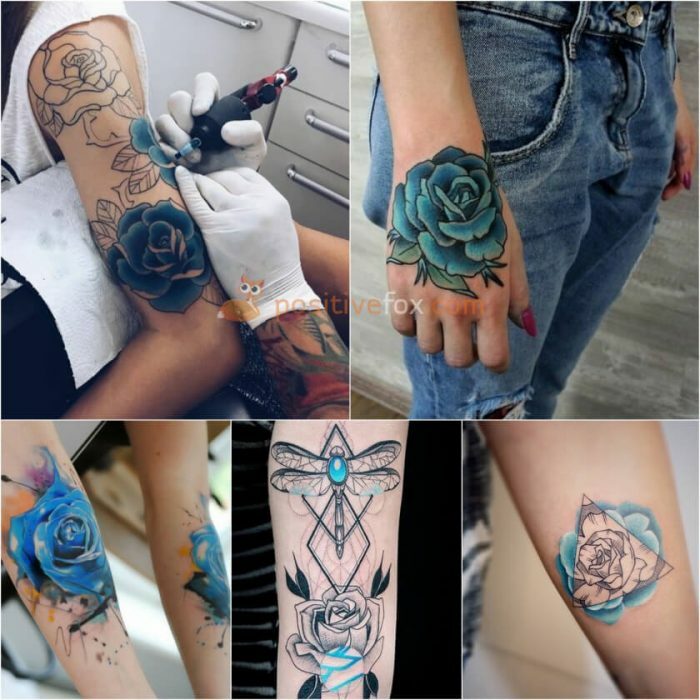 Blue rose tattoo is symbolic of the pursuit of the impossible. 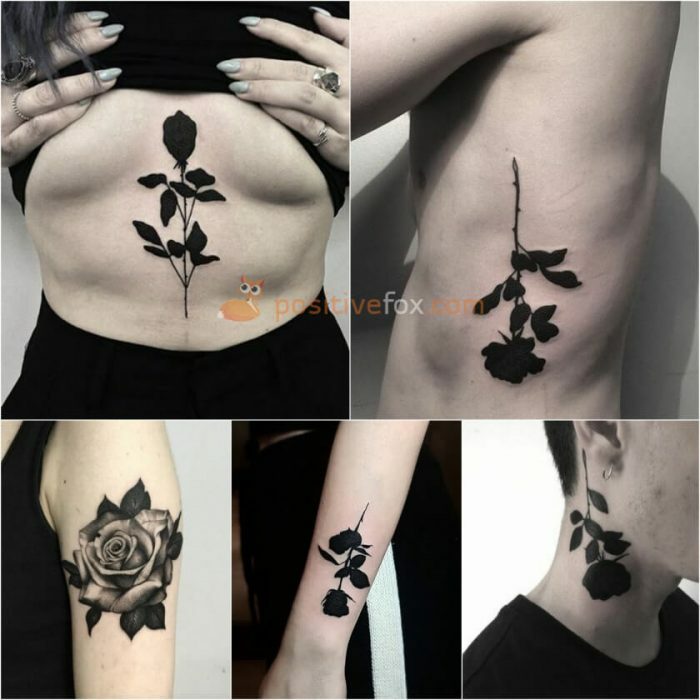 A black rose tattoo is a symbol of sorrow and grief. 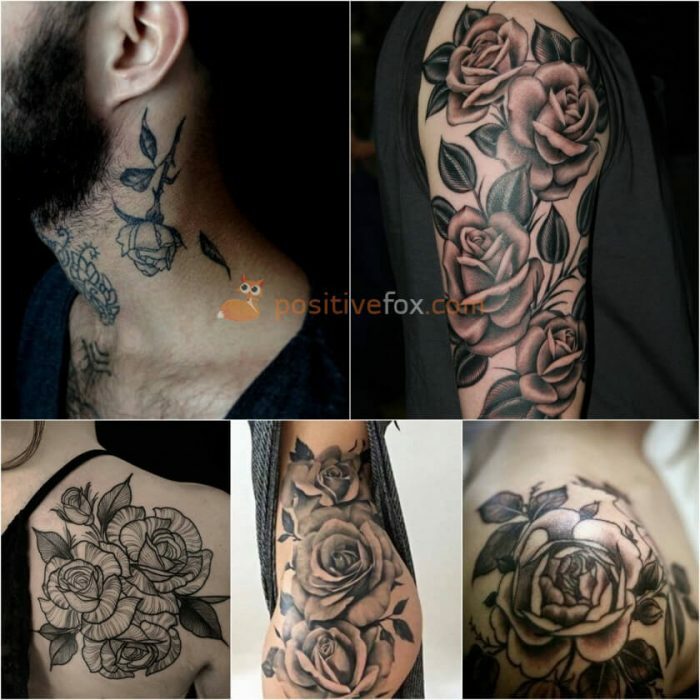 Black roses can denote the loss of a loved one or feelings long past. 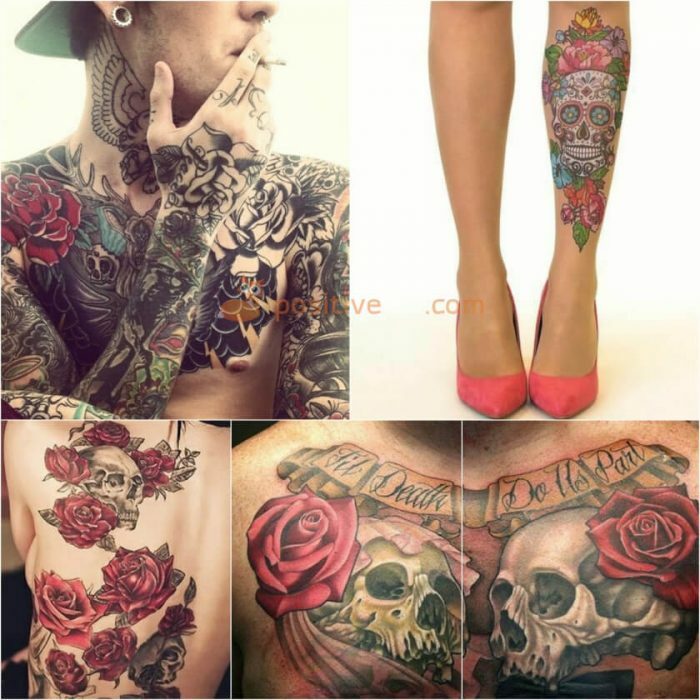 However, there may be different connotations. 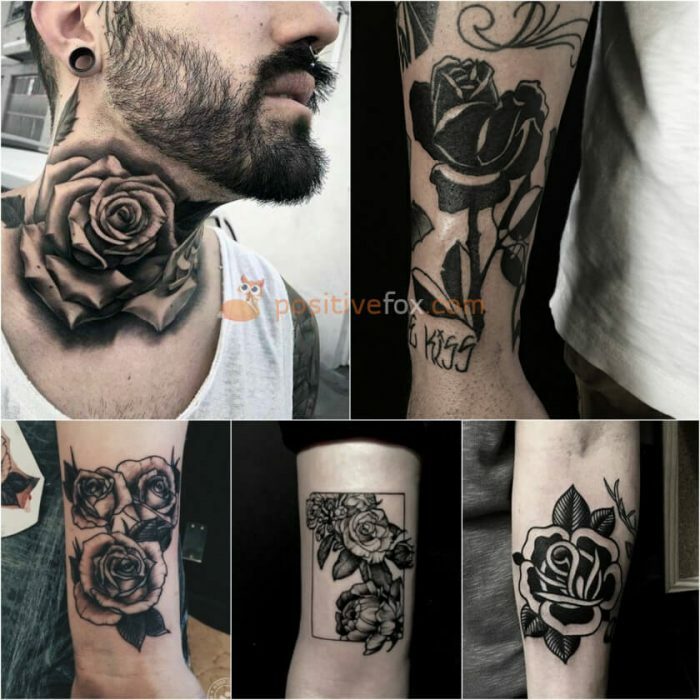 A black rose tattoo can also symbolize devotion. 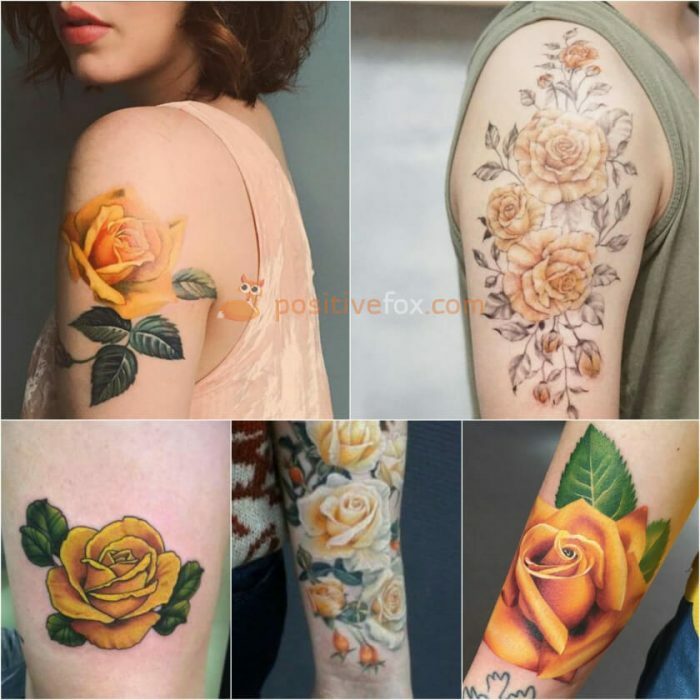 A yellow rose tattoo is a symbol of joy, warmth and optimism. 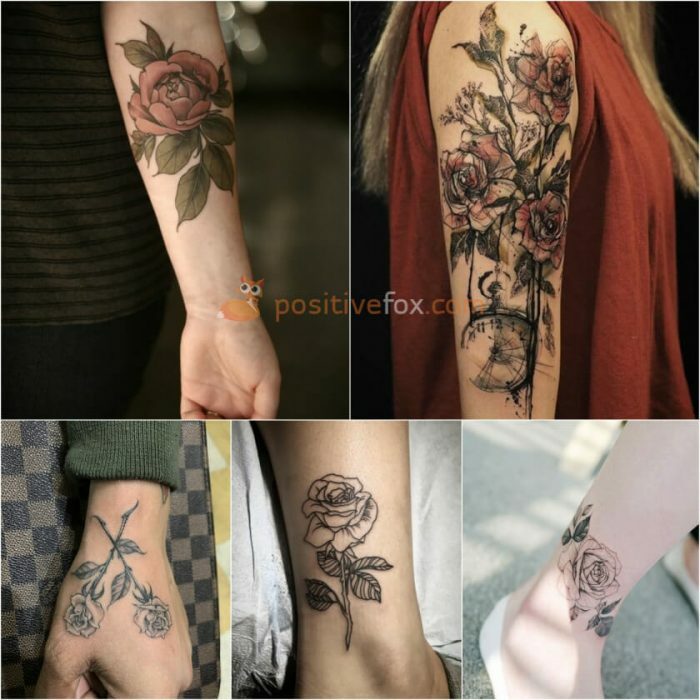 A rose tattoo will be a stunning addition to any part of the body. 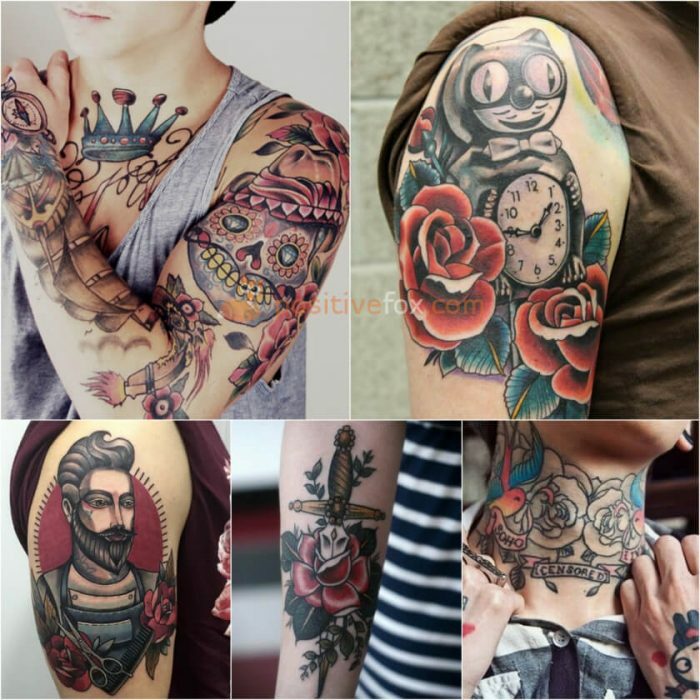 But the most common areas are the forearm and the shoulder. 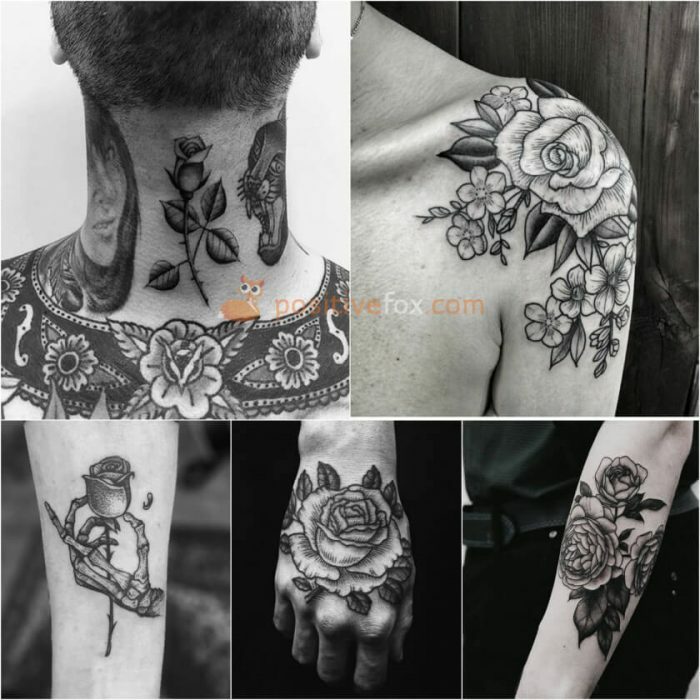 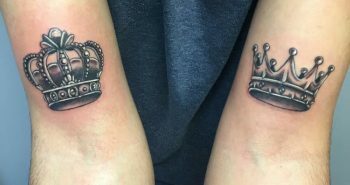 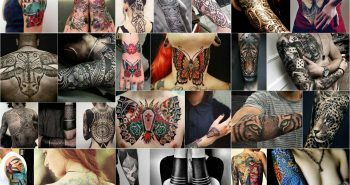 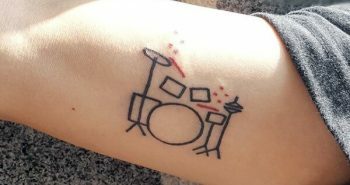 The benefit of a shoulder tattoo over the forearm is the freedom that it gives the tattoo artist because shoulders provide a larger “canvas” to work with. 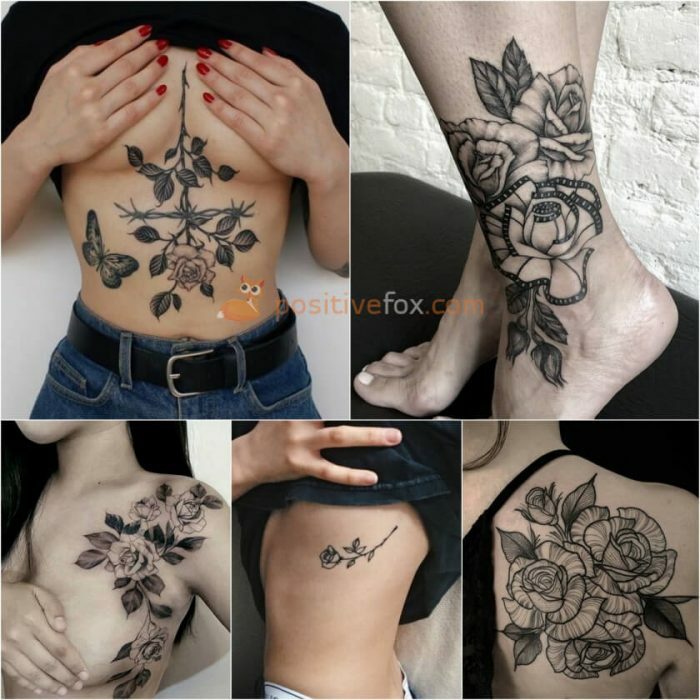 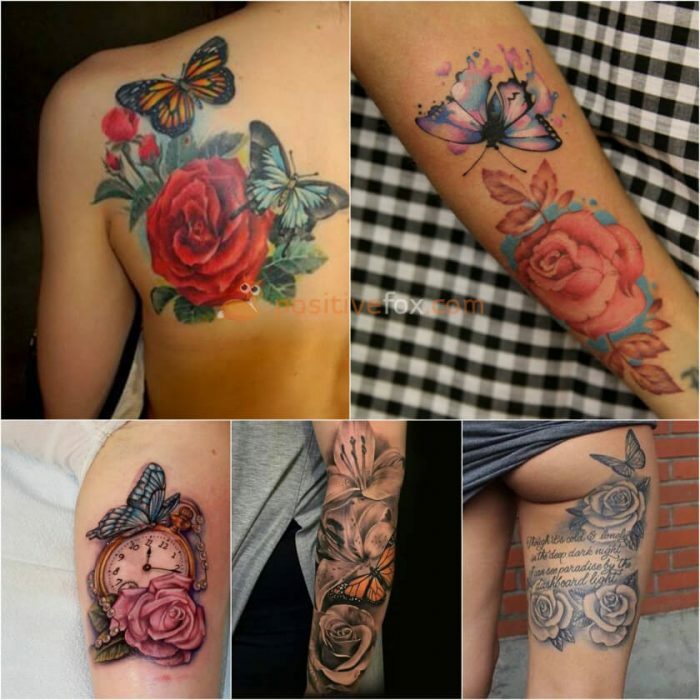 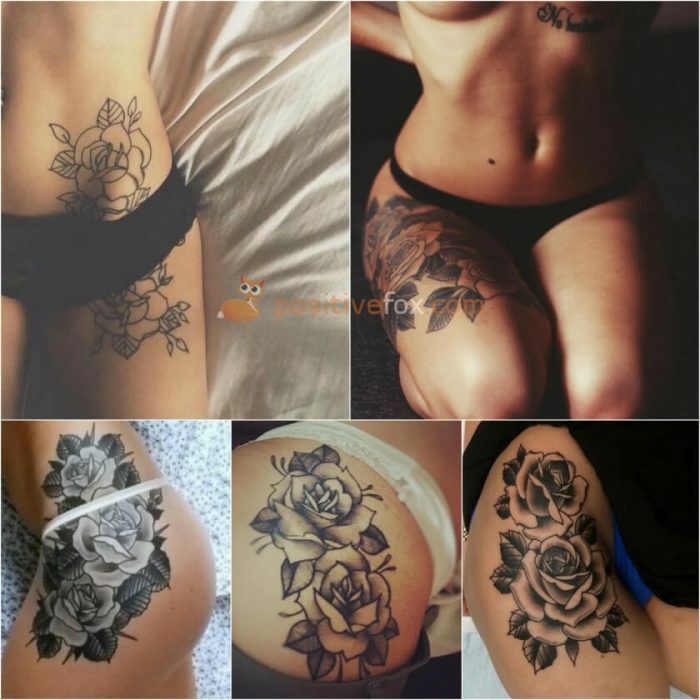 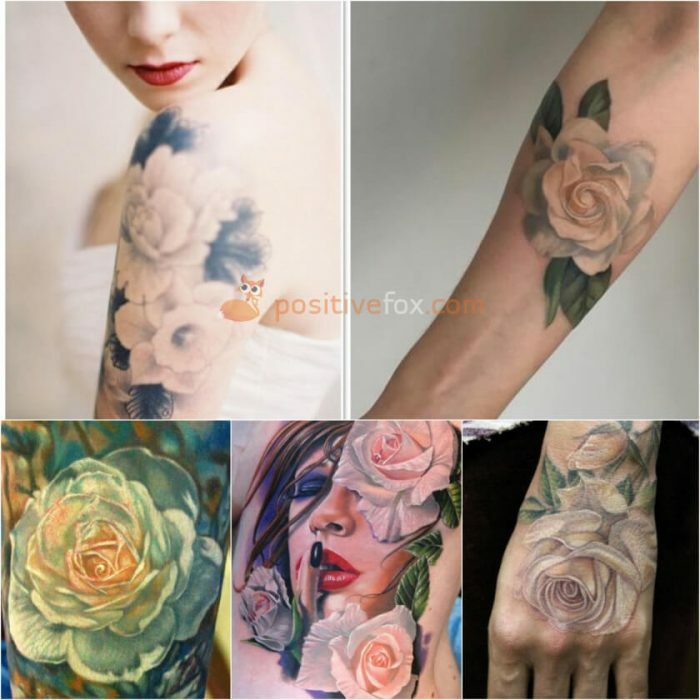 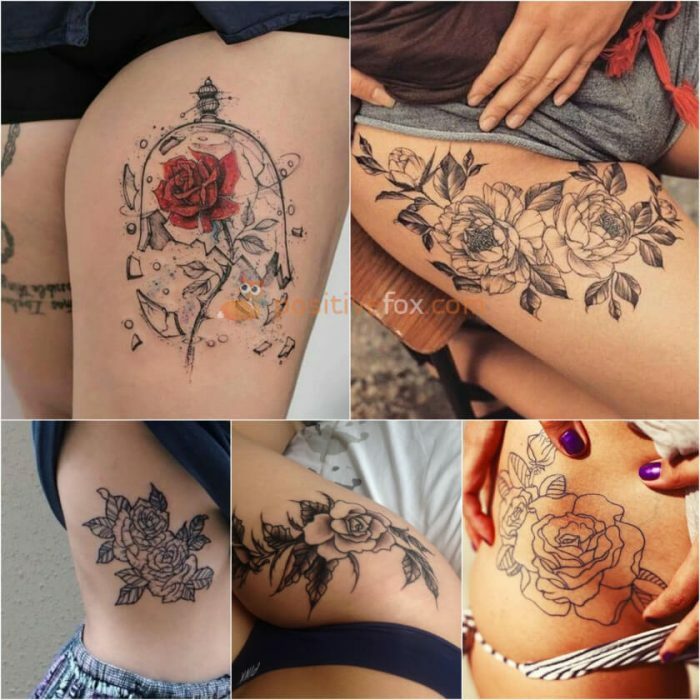 Flower tattoos are often seen as feminine and attractive and a rose tattoo is no exception. 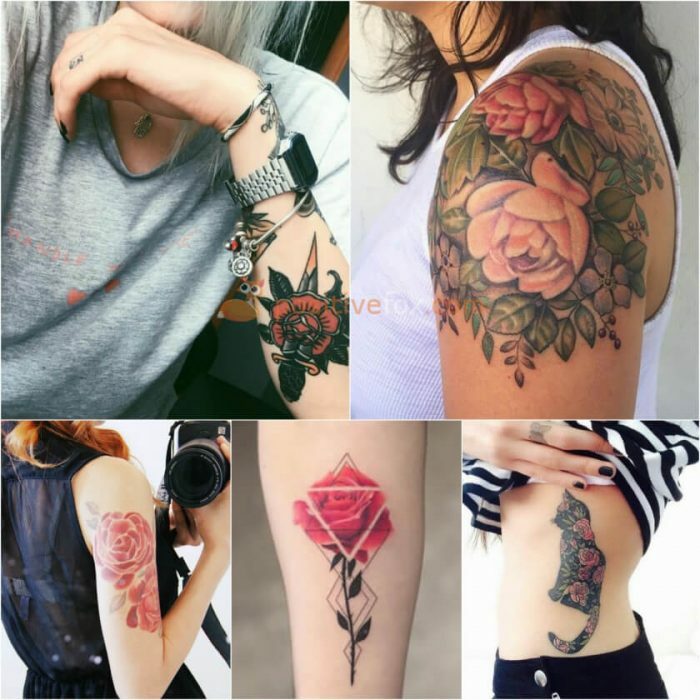 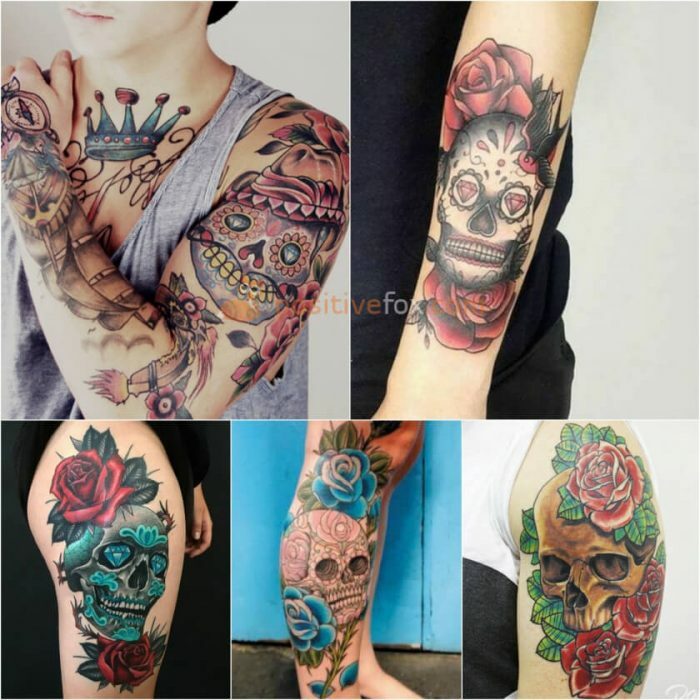 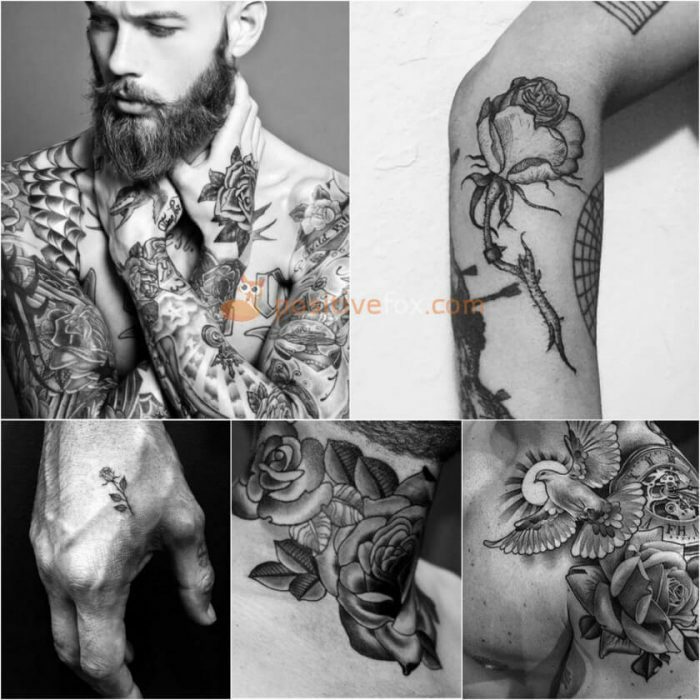 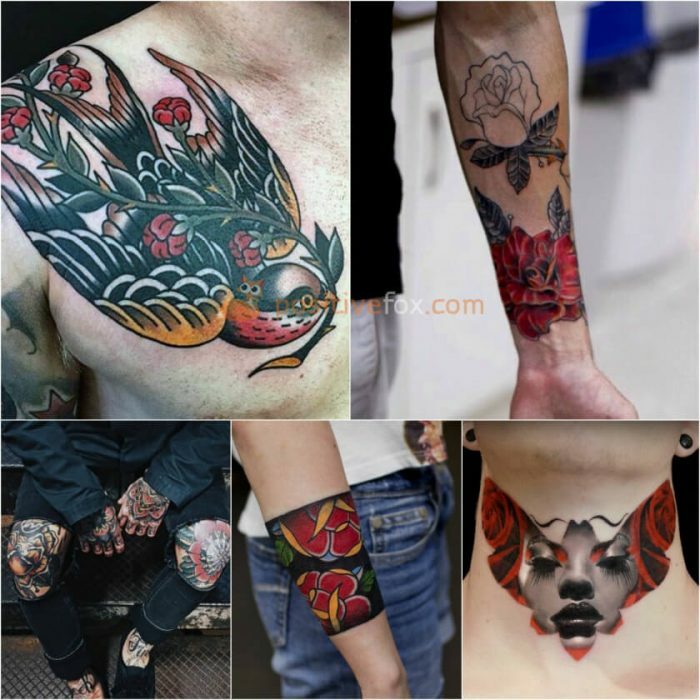 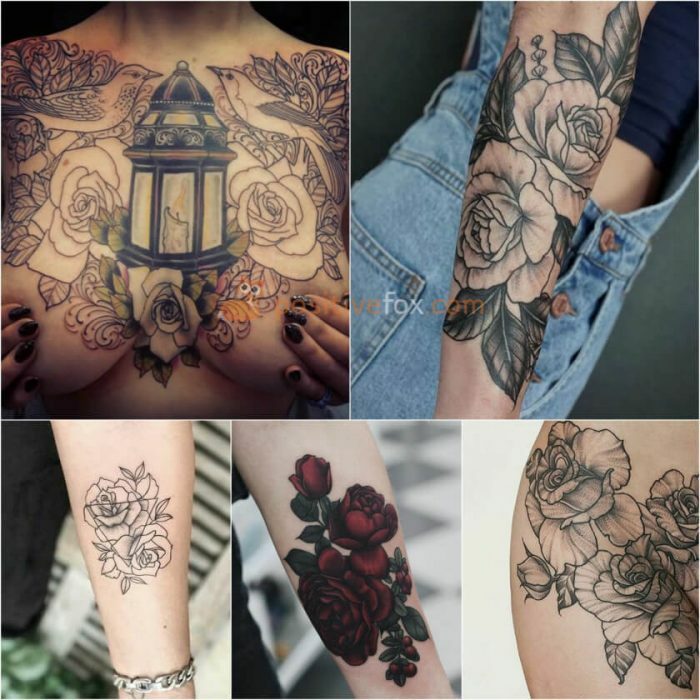 For this reason, they are quite popular with women and the most common places for a rose tattoo are the arm, collarbone, chest and legs. 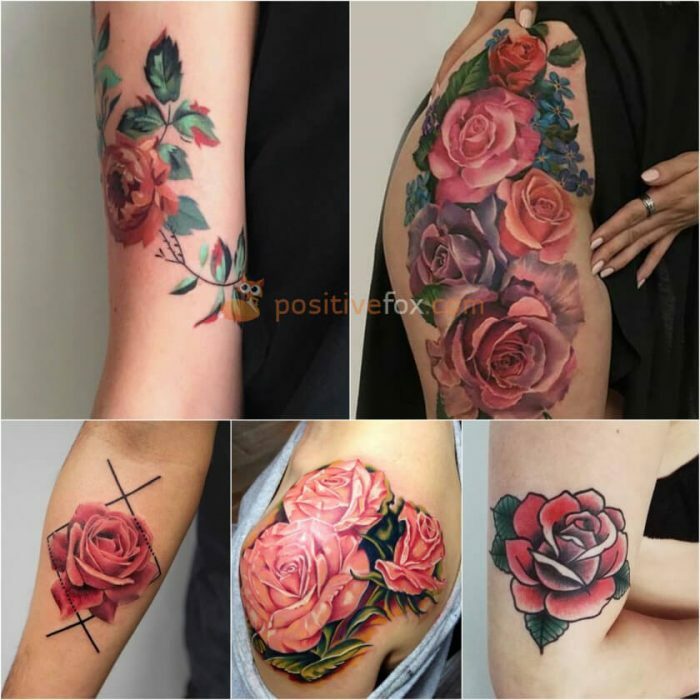 To emphasize the beauty of the rose, bright color palettes are often used in its creation. 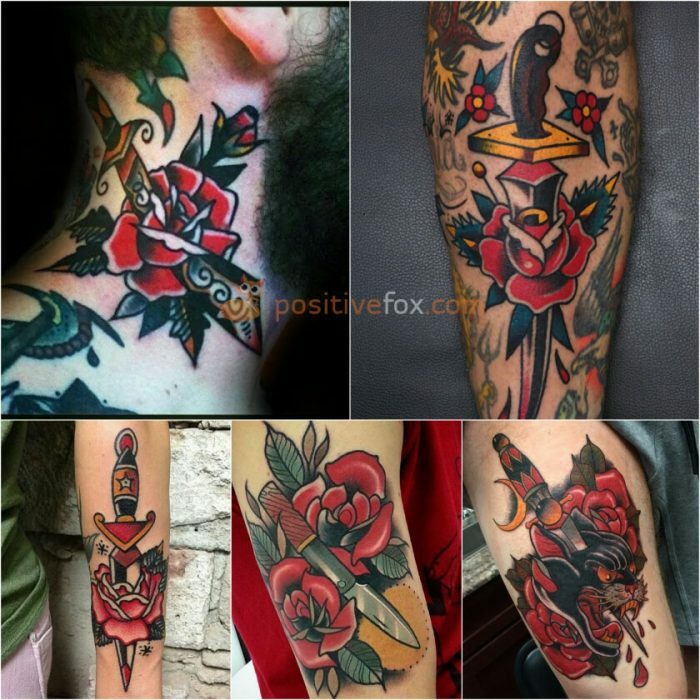 Roses, which were quite common in the Persian empire, were originally a symbol of masculinity. 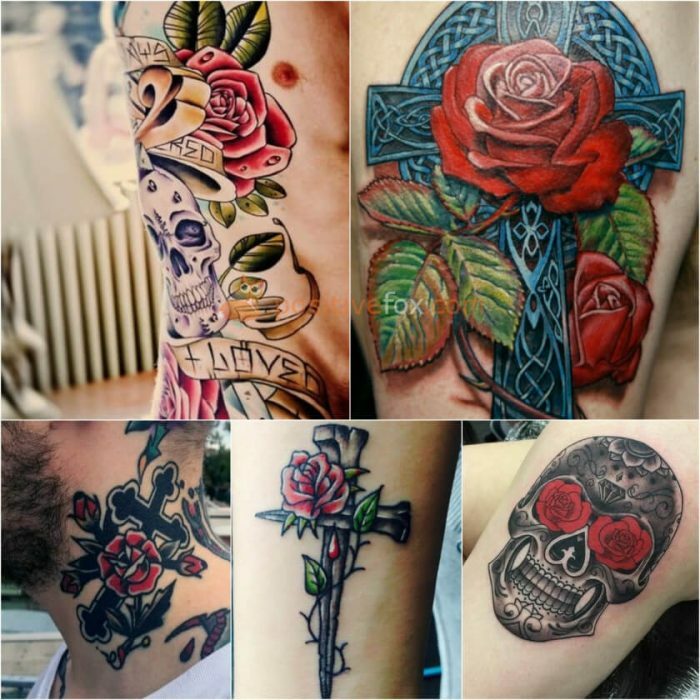 The rose symbol was first embraced by sea bound sailors as a reminder of their significant other. 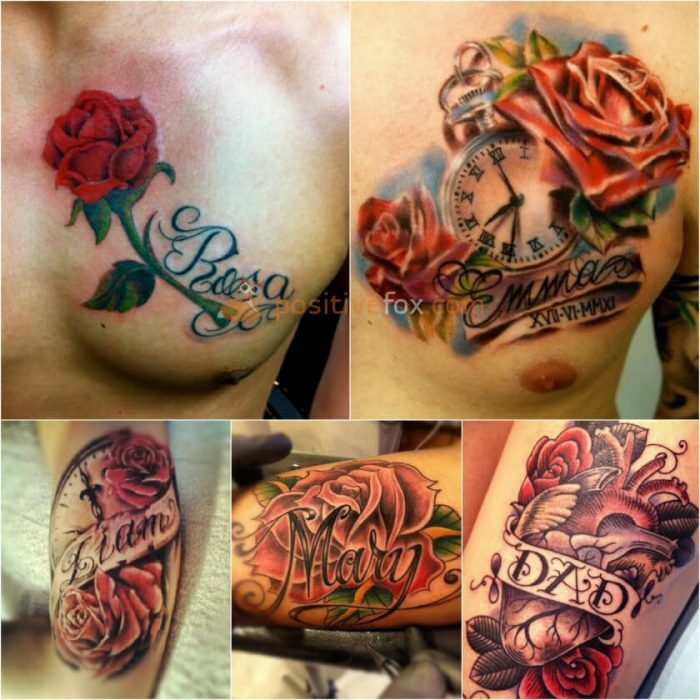 The meaning has remained mostly unchanged. 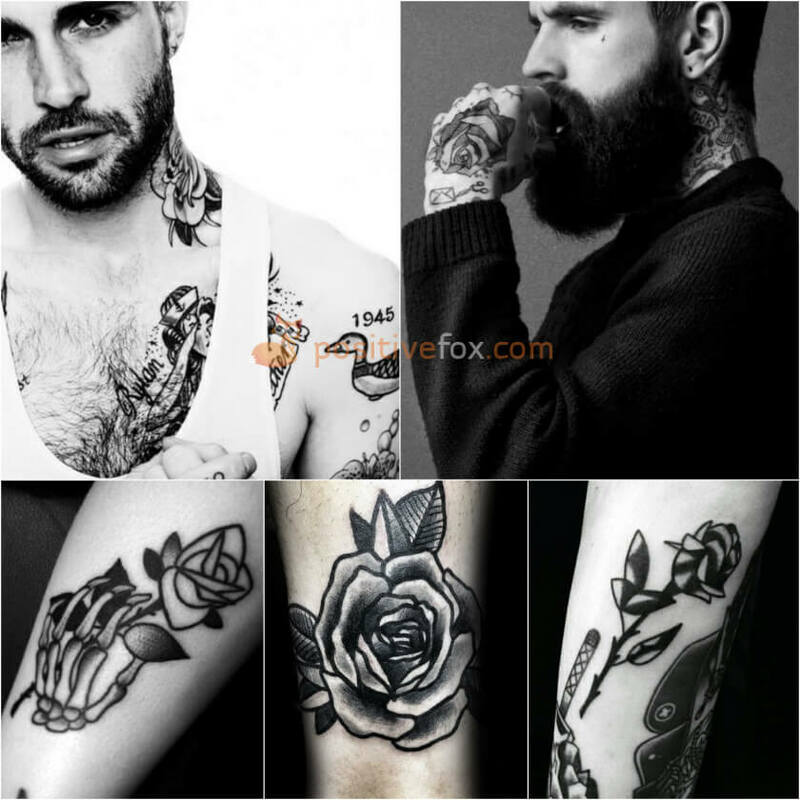 If you happen to see a man with a rose tattoo, you can be certain that there is someone in his life, for whom he cares deeply.